Sita Sindhu Bhavan was inaugurated by Dada Ram Panjwani in year 1969. 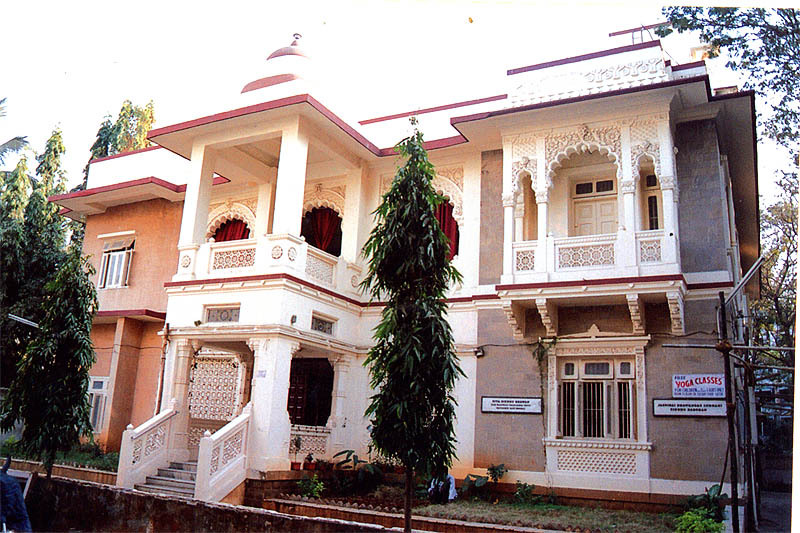 Sita Sindhu Bhavan is today well known as center of Sindhi culture and art. Every 15 days Sindhi Cultural programs are organized where Artists of all the ages get opportunity to present their skill and talent here. It’s been 15 years Dada’s dream is carried forward by Paru and Thakur Chawla family. This is maintained as per the dream visualized by our dear Dada Ram Panjwani. Long ago, I had a dream that God willing, I would establish in India a cultural centre that would become a place of pilgrimage for Sindhis, a historic monument perpetually reminding them of the infinite variety and richness of their heritage. That dream was given a body and a shape in 1969, when Mr. R. J. Advani on behalf of Bhagwan Murjani and the number of Hong Kong based Sindhis, presented to me a magnificent building near the station Santa Cruz (East). I was beside myself with Joy. I asked: ” Friend, How did this happened ?” Mr. Advani smiled and said in a voice that made light of the Munificence of the gift: “You wanted a place that would be a centre of Sindhi Culture and folklore. I and my friends have given you this place so that you may give shape and reality to your dream”. Thanks to the goodwill and good wishes of countless friends and their labour of love, Sita Sindhu Bhavan was seen off to a flying start by the late Mr. V. P. Naik, the then chief minister of Maharashtra. Musical soirees were held here, as also get togethers of poets. It was here that a number of Sindhi Theatrical groups had their baptism in drama. Theater groups of other castes and communities too, found in this place and opportunity for the expression of their own art culture and folklore. Sita Sindhu Bhavan now echoes with the melodies that are dear to the hearts of Sindhis. Audiences have been enthralled by light music and beauty and intricacy of classical music. Hindi Bhajans have delegated thousands. Mushairs have been held here as also literary gatherings, seminars and lectures and rehearsals of place to have been held. Sita Sindhu Bhavan has become the center of every cultural and literary activity, a veritable centre of the performing arts of Sindh. People come here now from far and near, from the four corners of India and from far flung countries – wherever the Sindhis have settled and made a new home for themselves. They come with eagerness in the hope of hearing once again the melodies that had stirred them in their childhood and and in their youth; they come with a sense of nostalgia, with the exile’s feeling of returning home. Even those who had never seen or known Sindh come here to establish contacts with their past, the past of their parents and of their community; to forge new links in the chain that bound them invisibly to the land they had never seen, but the beauty and the graciousness of which they carried along the pathways of their blood. Man is a creature of appetites, desires, aspirations. He takes a dream within his grasp and tries to mould it closer to the reality of the dream in his heart. I was happy that my dream of a cultural centre for the Sindhis had taken shape. but this shape was somewhat tenuous , without some of the clear outlines I had had in mind when I first conceived it. Man is never satisfied. His reach always exceeds his grasp; and when the knowledge of this is brought home to him, he feels , restless, unassuaged, and embarks on a new quest, a new voyage of discovery. I, too, was haunted by this glorious dissatisfaction. I had an ideal in my heart of what Sita Sindhu Bhavan should be like. I strove to attain this ideal. But the ideal, like the horizon, receded farther and farther the nearer I approached. It was then that I took a vow. I would make Sita Sindhu Bhavan a miniature Sindh, where miniatures of the shrine sacred to our sufis and saints would be exhibited, where the portraits and paintings of our great men, patriots and martyrs would be on display, so that those who have left Sindh, and those had never seen it, might know their rich heritage, might know everything about the land their forefathers had to abandon in circumstances beyond their control. The Indus, too, seemed to sing its songs once again. They clamored at the bars of memory, found vocal chords of a sort, became real, insistent, as if telling me: “You have left me and perhaps forgotten me, but I remember you still; remember how your ancestors, and you too often sat on the banks of my stream as I tumbled down from the Himalayas and brought here magnificent work of art and sang of me and of places through which I meandered in my long journey from the Himalayas, and gave me immortality”. But how can we forget these, forget our past? might as well forget that we are alive, that we have a mind and a heart and memories, forget the things that have moulded us, have become an invincible bond between what we were and what we are. All these places, and many more, knocked at the bars of memory and clamored to be reborn. And reborn they shall be, I vowed to myself, and become pulsatingly alive once again. They shall speak to us, speak to our mind and hearts and spirits, become miniaturized and visible, a vital part of all that we are and all that can not pass away. When my friends heard about my dream of Sindhu Darshan, they got in touch with me, and wanted to know how best they might help to make it a living, throbbing, vital reality, Sital Motwani, President of the Honk Kong Chamber of Commerce and editor of “The Indian”, sent me a telex, in which he said: “I am all for the project you have in mind. How can we fail you when you have done so much, and our doing so much, to keep alive our heritage?” Not to be outdone, Mooraj Manghnani of Dubai assured me that he and his friends would ensure that the Sindhu Darshan I proposed to setup in Sita Sindhu Bhavan would soon become a magnificent reality. Similar assurances came from Ram and Lachman Ludhani of Evershine Builders of Bombay and many other friends. Heartened by their response, I issued an appeal to all my compatriots. To be truly representative of the soul of Sind, of its arts and crafts, I told them. I required photographs , prints, paintings- everything that would recreate in miniature our temples, shrines and places sacred to our saints and to our great literary masters . We would also require paintings, prints and photographs of the dress of our people in the days of the Mirs and in the years that followed ; of the costume jewelry which our women wore to make themselves attractive ; of the typical musical instruments of Sind; of our mausoleums and minarets and places of historic and cultural interest – everything that would reproduce the soul of Sind and make it manifest in Sita Sindhu Bhavan for all those who know nothing, or know very little, about the influences which had fashioned us and made us what we are. The response to my appeal was incredibly generous. 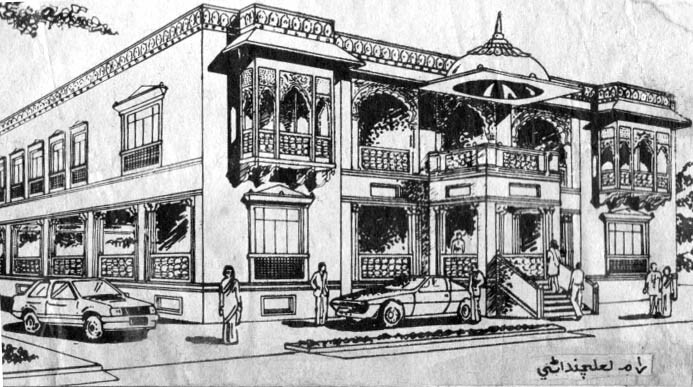 Roop Bhojwani of Kiran Ltd. (London) contributed $ 20,000 ( about two lakhs of Rupees ) for the construction of ISSAR- ASSO AMAR ASTHAN; Ram and Lachman of Evershine Builders undertook the construction of the building to house Sindhu Darshan. Men like Arjan Motwani, Vikyomal Shroff, Bob Moorjani, Mooraj Manghnani, Menghraj Adnani, Vashi Shroff, Ram Buxani vied with one another to give flesh to the bare bones of my dream. Noor Ahmed of Sind Times sent me over 200 valuable negatives. We will put these to proper use. I still want more pictures and I am sure that those friends who have them will let me have these. Lokram Dodeja, Menghraj Talreja, Ram Lalchandani , architect Naval Karnani , Hiro Thakur and Chetan Mariwalla, have promised to help me in the direction. Mr. Dewan Bhojwani, the world-wide known artist who has been associated with our institution from its inception, has now promised us to turn his substantial talent to Sindhu Darshan. Thanks to Ram and Lachman Ludhiani of Evershine builders , Bombay, who converted my dream into reality by building a magnificent structure Sindhu Darshan and giving it to Sita Sindhu Bhavan in loving memory of their beloved mother, the late Smt. Jassibai Bhavandas Ludhani.Sindhu Darshan will be known as Jassibai Bhavandas Ludhani Sindhu Darshan. There will also be a recording studio for cassettes in memory of Smt. Lachmibai Menghraj Adnani named after her. God moves in mysterious ways his wonders to perform. Of these is Sita Sindhu Bhavan, which after its expansion and facelift, would become a place where Sindhis from all parts of the world would converge, as they would at a holy shrine. And what a labour of love it has been ! not yours, not mine, but everybody’s. This is what Lord Krishna told Arjuna on the battlefield of Kurukshetra : ” It is not important whether God’s work gets done through you or through me and mine. What matters is that it is done.” And it has been done marvelously well. 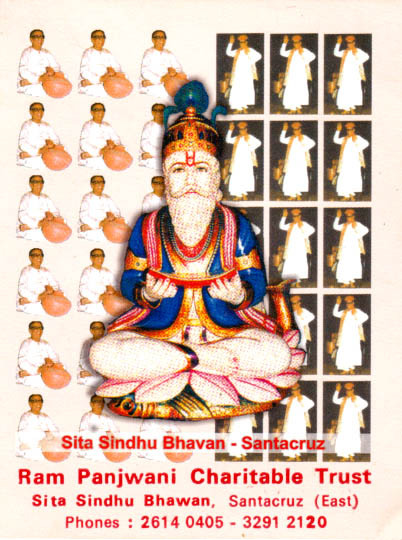 Sita Sindhu Bhavan , Issar-Asso Amar Asthan and Jassibhai Bhavandas Ludhani Sindhu Darshan housed in it, bear witness to the glory of God and the greatness and generosity of the Sindhis. We have come a long way since we left the land of our birth. We came here as refugees , as displaced persons, displaced from our hearths and homes. Thousands of us came here in rags, battered by man and badgered by fate. The flame within us flickered and wavered. But we nursed it to a steady glow, made it luminous and far-reaching , made it a symbol of the indomitable Sindhi Spirit. Now we have taken roots here- here, in this beloved land of Bharat, where God has been good to us, and we have prospered , and become rich in the good things of life, in mind and heart and spirit. But we have not kept our riches to ourselves, nor hugged them to our hearts like a miser. We are givers now, not receivers.We have built dharamshallas and temples ; we have established schools, colleges and hospitals, holiday homes and homes for the aged and the infirm. Verily has it been said that those who give are blessed, that the garden of their dreams shall ever be green and fresh. And green and fresh it has been for us here. And green and fresh and growing too , is Sita Sindhu Bhavan. It began as a centre of Sindhi arts and of the arts of other parts of India as well. Now it shall house Jassibhai Bhavandas Ludhani Sindhu Darshan, a miniature Sind presided over by Jhulelal, the lord of waters and the waves, a repository of our aspirations and dreams. On this auspicious day when my dream has come true , a day which is sacred to us, this is what I and my many friends present to you-a gift from the heart of those who love Sind and Sindhi arts, crafts and folklore ; a gift from those of us who belong to the past to those of you to whom belongs the future in all its fullness and vitality. Kishin Juriani will be performing at Sita Sindhu Bhavan, Santacruz East, Mumbai – 400055., on Sunday,16th December, 2012, morning 11 o’clock onward…. I am delighted to read and see on web the contents of service to community. Wish Dada Ram Panjwani to take rebirth in this era to spark Sindhiyat.